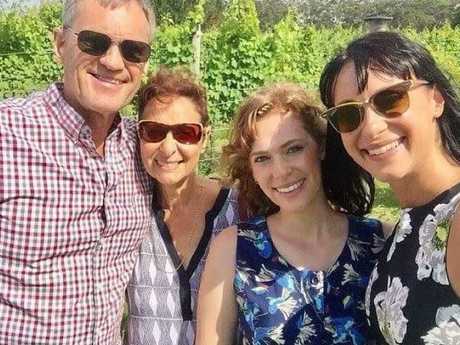 RELATIVES of car crash victim Jessica Falkholt are praying she wakes up but don't know how they will explain she's the only member of her family left. The Home And Away actor is in intensive care at St George Hospital and family members said her chances of survival are "50-50". The 28-year-old has undergone numerous surgeries - including the removal of one kidney and part of her skull to relieve the pressure on her brain - and is in a coma. 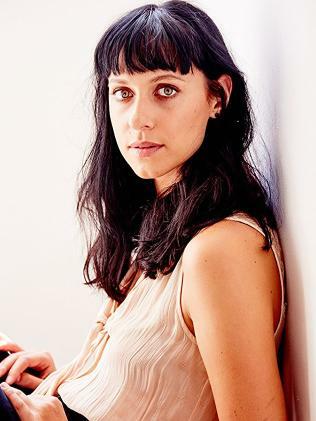 Actor Jessica Falkholt is the sole survivor of a car crash which killed her parents and little sister. "The neurosurgeon spoke to the family (on Friday) and said it could take weeks or months because they do not know how much brain damage there is," James Randazzo, husband of Jessica's second cousin Cathy Randazzo, said. "He said her brain is like a Ferrari in that you can make everything look all right but you won't know until you turn the ignition on whether the ­engine is going to start." 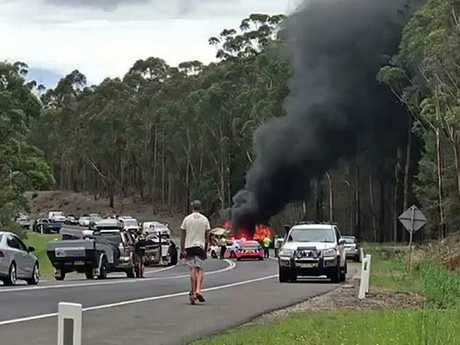 Jessica, her sister Annabelle, 21, and their parents Lars, 69, and Vivian, 60, were returning from Christmas celebrations in Ulladulla on Boxing Day when their car had a head-on collision with another car driven by P-plater Craig Anthony Whitall, 50. Whitall died in the inferno, which also claimed all three members of Jessica's family ­including sister Annabelle, who died on Friday. 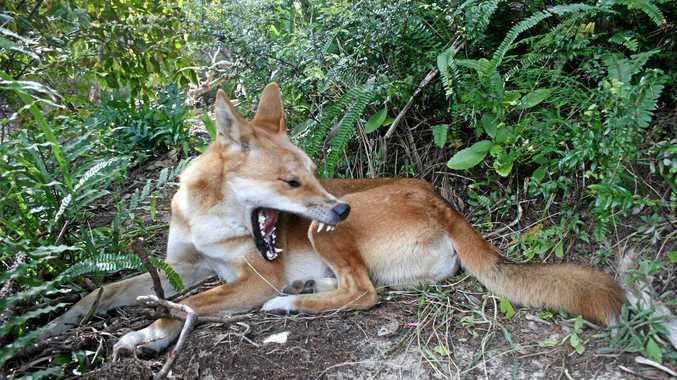 "It is the left-hand side of Jess' brain which was damaged and that is the side that affects personality and memory - that is the fear," Mr Randazzo said. "She may wake up and, if she does wake up, is she going to be a different person? "If we get to that point then someone is going to have to break the news to her about the rest of her family." The Sunday Telegraph can also reveal that Annabelle Falkholt was pulled from the wreckage conscious and said her name when asked. Jessica, however, was only able to open one eye and look at witnesses before she lost consciousness. Both Jessica and Annabelle were rescued from the car ­before it was engulfed in flames, despite early reports that both suffered burns. Cathy Randazzo, 40, said doctors will test Jessica's brain function after swelling on her brain has gone down, a process that could take weeks. In the meantime family members have made a pact to stay positive around her. "We have been reminiscing at her bedside and are hoping that she can hear us," Mrs Randazzo said. "It's devastating seeing someone you love in such a state and we just want her to wake up. I have been saying to her that she better get well soon because we have to do the Bay Run again. "Jess still has her nails painted in gold glitter. Annabelle had her nails painted in blue glitter and so we are thinking they did each other's nails over Christmas." Mr and Mrs Randazzo said the family only started funeral arrangements yesterday. Twenty-four people have died on NSW roads in the 2017 Christmas period, the worst since 2009. There have been 389 road victims this year.